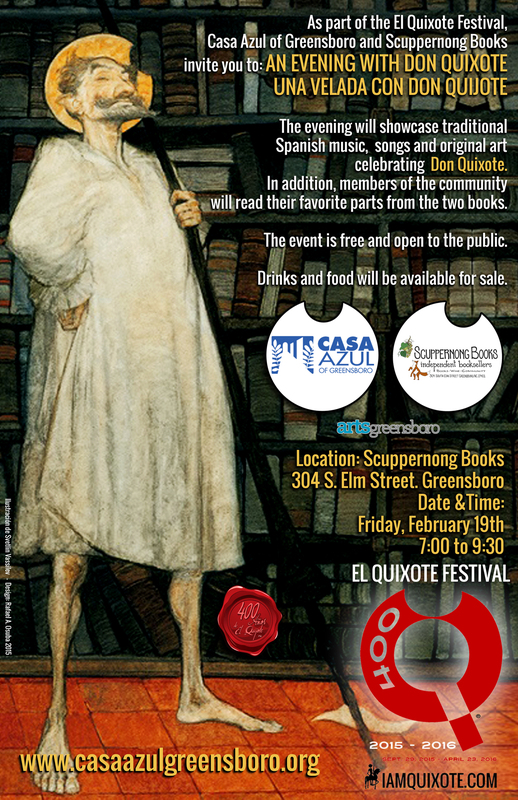 As part of El Quixote Festival, Casa Azul of Greensboro has partnered with Scuppernong Books for an evening with Don Quixote and his legacy. The evening will showcase traditional Spanish music and songs celebrating Don Quixote as well as theme related original artwork by local artists. In addition, members of the community will read their favorite parts from Don Quixote and join the audience in a conversation about the legacy of Don Quixote. 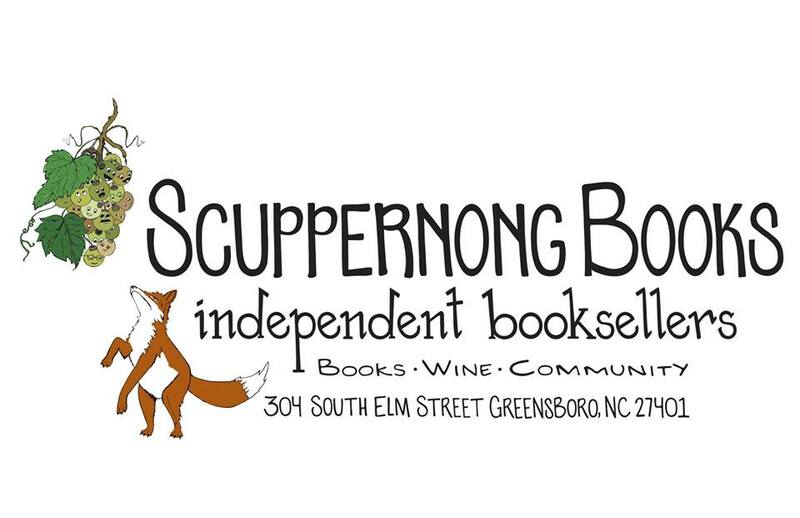 In honor of AN EVENING WITH DON QUIXOTE – UNA VELADA CON DON QUIJOTE, Scuppernong Books will be serving Spanish wine. The event is free and open to the public. Drinks and food will be available for sale. Casa Azul is an initiative created by Latino professionals and artists, sponsored by ArtsGreensboro, designed to promote Latin American art and culture in the area. Our board has individuals from several Latin American countries who work closely and are very connected to the Latino community, many of whom have extended experience working with non-profit organizations. To provide the environment and resources for creative expression of Latino culture in our local community through projects and partnerships. Ofrecer a través de proyectos y asociaciones el ambiente y los recursos para la expresión creativa de la comunidad latina en nuestra comunidad.